Do you think of carrot when you see this? 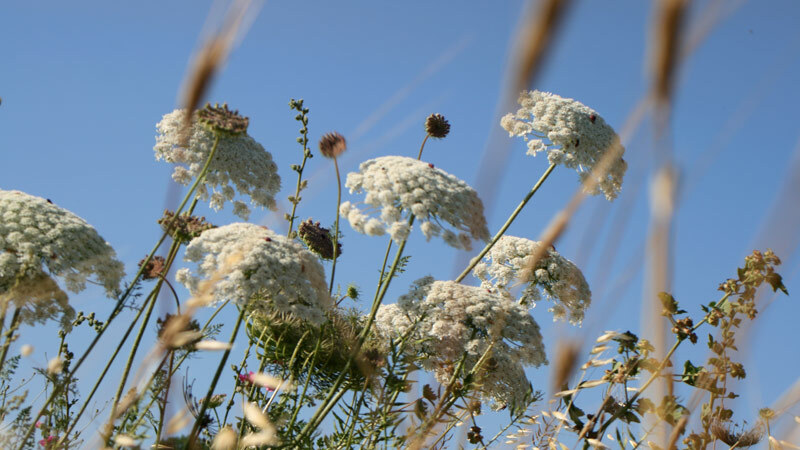 Daucus carota L. is its botanic name, one of the Umbelliferae (Apiaceae) family which also grows in our yard. The plant is actually a bouquet of hundreds of small white flowers, grows to a height of 2 meters!